Machu Picchu one of the wonders of modern world, reached considerable numbers of domestic and foreign visitors in the year 2016, the data are impressive since the total would be 1'344,119 (domestic and foreign), the figure obtained would represent a growth of 10 % Compared to 2015 (1,221,660 visitors). Mincetur and PromPeru were in charge of providing the data, it was also possible to obtain knowledge about the exact amounts, both domestic and foreign visitors, if we talk about income to Machu Picchu we have an 8% growth over 2015 (923,595 to 851,661 ). On the other hand, in the course of 2016, especially in the months of August and October were reported a greater number of national visitors, and if we refer to foreigners was observed between the months of July and August. It should be mentioned that in the last 5 years the growth of visitors was favorable and that these data would indicate a growth of 38.4%. 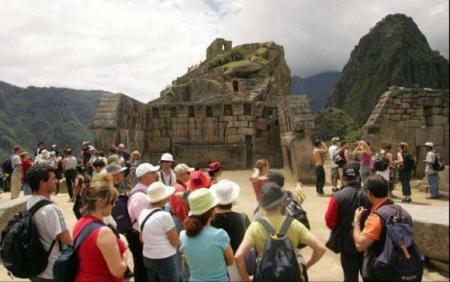 In this period the national tourists obtained a 55% and foreigners a 32%. Enjoy the Cusco traditions in your trip to Peru with the travel agency Machupicchu Travel, we have the best tour packages to Machupicchu, Huaynapicchu and Inca Trail, do not wait any longer and make your reservations, we have many travel offers waiting for you.